Training on "Facilitating Conversations about Implicit Bias in Campus Programming"
As a part of our continued commitment to fostering an inclusive campus environment, the ODEI has coordinated a training session aimed at encouraging productive discussions about implicit bias through campus programming. Through constant exposure to messages we receive in our inequitable society, we all possess a range of implicit associations and biases that operate outside of our conscious awareness. These associations are often in conflict with our good intentions and explicit values of racial equity, inclusion, and justice. 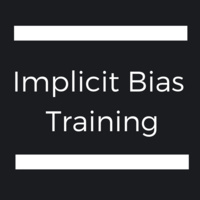 Even when we are aware of implicit bias, we might not be certain of how to discuss the topic with others or address the manifestations of implicit bias when they emerge. This research-based session will equip attendees with a deeper understanding of how implicit bias operates; ways to facilitate effective conversations about bias; and strategies to both prevent and respond to the emergence of bias. Lena Tenney (they/them/theirs) is Coordinator of Public Engagement for the Kirwan Institute for the Study of Race and Ethnicity at The Ohio State University. They direct the facilitation portfolio of the Race and Cognition Program, which includes traveling around the nation to facilitate trainings about implicit bias, structural racism, and being an active bystander. Lena is a co-author of the 2017 edition of the Kirwan Institute’s State of the Science: Implicit Bias Review publication and a co-creator of the Kirwan Institute’s Implicit Bias Module Series. They earned a Masters of Education and a Masters of Public Administration from the University of Oklahoma. Please note that this workshop is reserved for community advisors, the managers of program houses, and a limited number of invited staff members. If you or your department are interested in similar learning opportunities, please contact the ODEI at odei@kenyon.edu.